From here, what I usually do is pick out about 5 or 6 magazines, put on some jams (here’s a good mix by the way by hotthobo), and speed through the magazine looking for things that grab you. This could be words, images, a background color that speaks to you, anything! Rip it out and set it aside in a pile. Tips on this: Don’t always look for subject matter, look at the space around the page, is there anything cool and interesting about a particular font? Is the whole picture what you need? Could you slice it in threes? Could you just use a piece of it? Say it’s a face, maybe you’re just drawn to the eyes. Then, my friends, you take that pile you’ve been amassing and start vaguely assembling it. I like to put down background pieces and large pieces on the newspaper first. I start layering other images and cut-outs on top of the background. Look at the shape of your pieces and see if they “fit” anywhere naturally. Ask yourself if one image goes with another in your mind. What makes sense to you as you put them together? And you keep on going like this until you have used up all your images. Are there “holes”? Start searching away through your magazines again. Is anything “missing”? 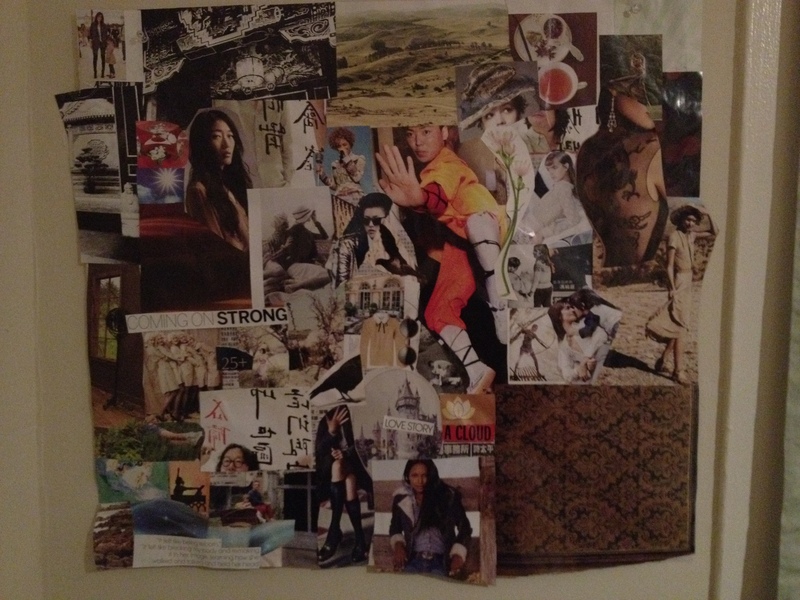 Collages are a great way to feel creative in a short span of time. 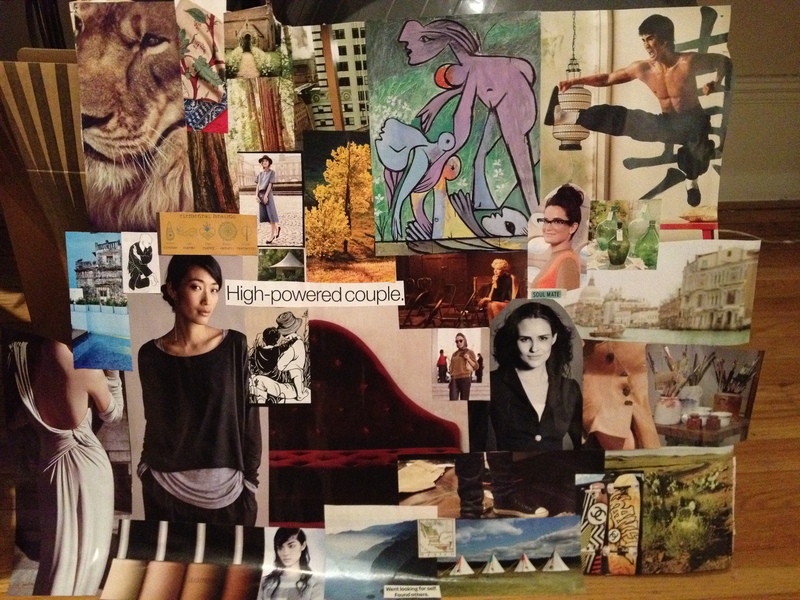 Honestly, you do not have to put a lot of thought into creating a cool collage. I’ve usually finished mine in an hour or so. And everytime I work on one, I find that I feel a bit more stable with my current vantage point of the world. 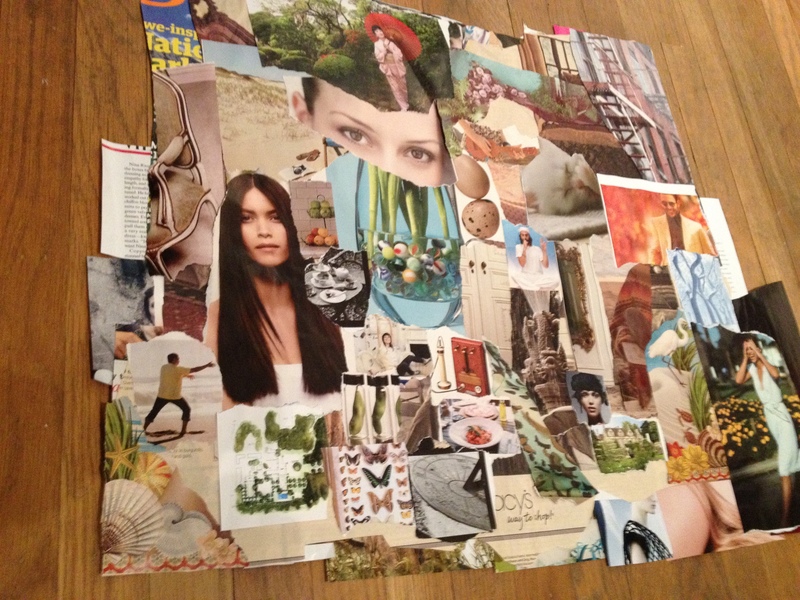 Here are some of the collages I’ve created in the last year. Previous Post Hello 2012! Time for a “best of” list.